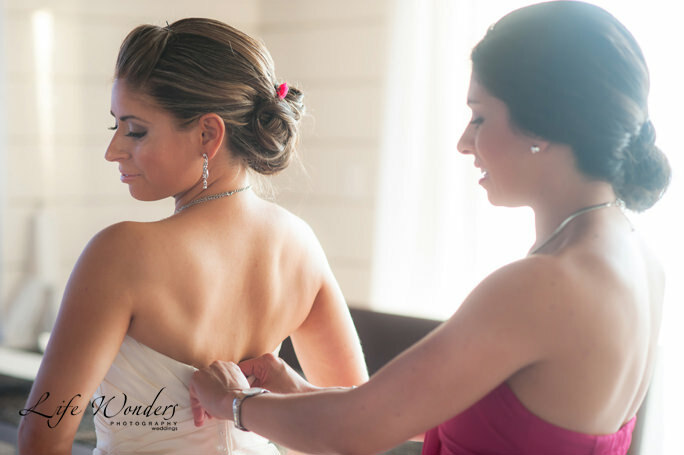 Many couples assume that they want their photographer to capture ceremony photos, formal portraits, and the fun of the wedding reception, but in my opinion, they are overlooking one important thing — the Getting Ready photos on their wedding. Let me explain why and then you be the judge. Marilyn’s Getting Ready photo session was fantastic! The sunlight from the window created an amazing atmosphere for her photographs. It illuminated her veil and curly hair so beautifully! 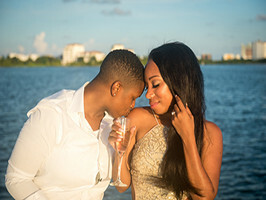 Having a photographer with you while you primp and pamper before your ceremony, surrounded by your close friends and family, results in some incredible photos of sweet intimate moments. If you are considering whether or not to have your photographer present during your “getting ready” time, here are six reasons why it’s a must. Most people haven’t spent a lot of time being photographed by a professional photographer, and I know the experience can make some a little nervous! I have found that spending time taking photos of the bride and groom getting dressed before the ceremony helps them feel far more comfortable when we move on to the more formal portraits. During this time, I’m able to give you some tips for feeling like your best self in front of the lens, and capturing natural photos while you are busy getting dressed keeps the mood light and casual. Here is Angelica being helped by her sister. Such a nice sisterly moment. You can see more in her Getting Dressed photo session. 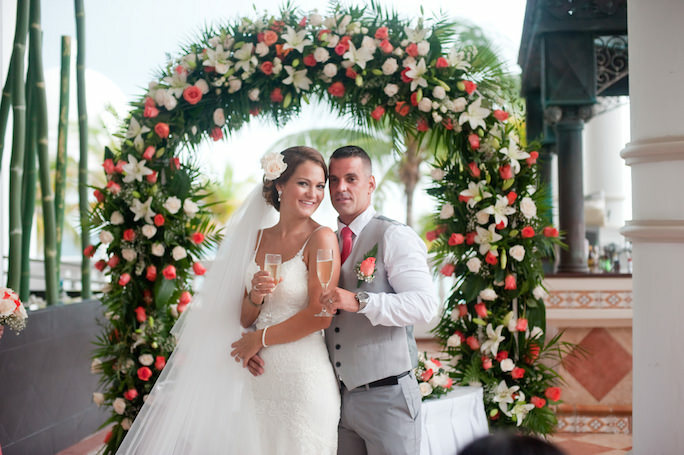 Weddings traditionally follow a “script” — you have the formal ceremony, followed by dinner and dancing at the reception. So often, many spontaneous moments happen while you are getting dressed, still filled with nervous anticipation for the big day ahead. 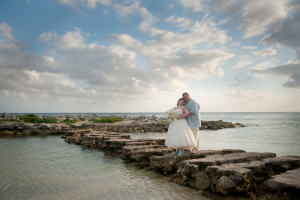 Andrea looked completely adorable in her hacienda wedding. Thanks to this getting dressed photo session, she has some sweet and tender photographs of intimate pre-ceremony moments with her family members. 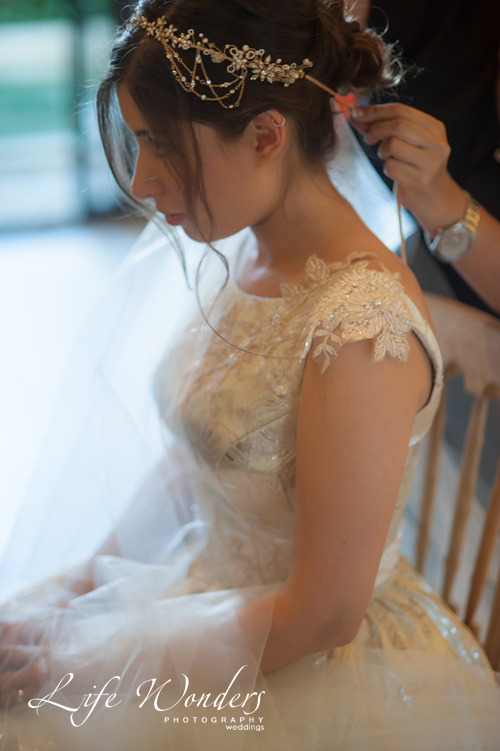 During the “Getting Ready” photo session, I’m able to capture photos of these heartfelt, spontaneous moments. Often, these intimate photos end up being some of the couple’s favorite photographs. 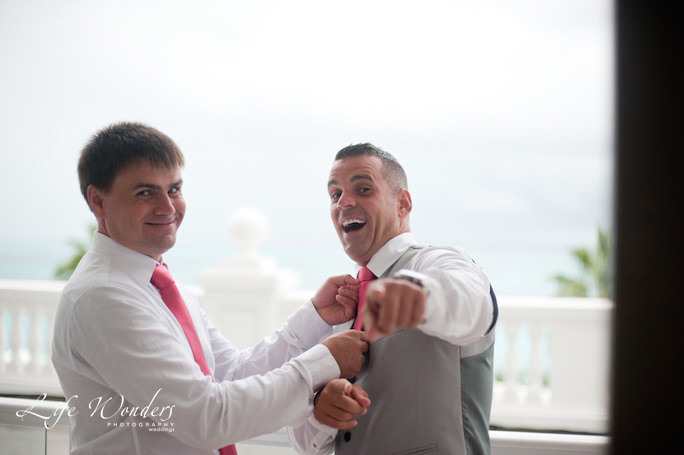 Great wedding photography is about capturing all the range of emotions on your wedding day. It is a way to get more photos of your closest friends and family. These are your final moments spent single with them and who have been supportive of you every step of the way. One thing I always notice is your room is filled with joy, happiness and love. I like to capture this feeling of love and friendship that is coursing through everyone as the bride and groom get ready separately for the very last time. 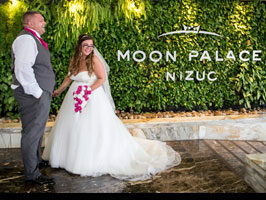 In this BRIDES magazine article about tips for better getting ready wedding photos reminds couples that both need to relax and enjoy the private moments as photographers will capture those emotive moments without you even notice. Dana’s Getting Dressed photo session was full of fun and excitement. They were all great friends and they all were very happy and ready to have a great party! This is the moment that all the “little details” starts to come together. 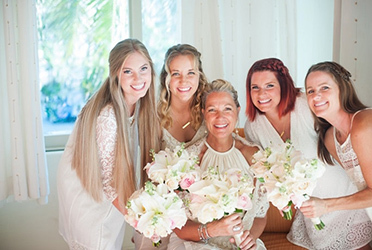 You have spent months picking out the perfect dress, choosing invitations, browsing Pinterest for color schemes and bouquet ideas — and while you get ready with your family and friends to say “I do,” all of these details are laid out just as you dreamed them up. My brides often tell me that it’s the littlest details that end up meaning so much to them — like a keepsake guest book that their sister designed, for example — and the “Getting Ready” photo hour gives me time to capture all those little details with passion and skill. Also, if you think of these “little” things, and tell me about them, then I will be able to capture them before the wedding technically begins. 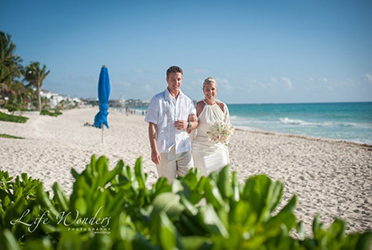 This photo represents the union of Dana and Vlad in her beach destination wedding in Cancun. 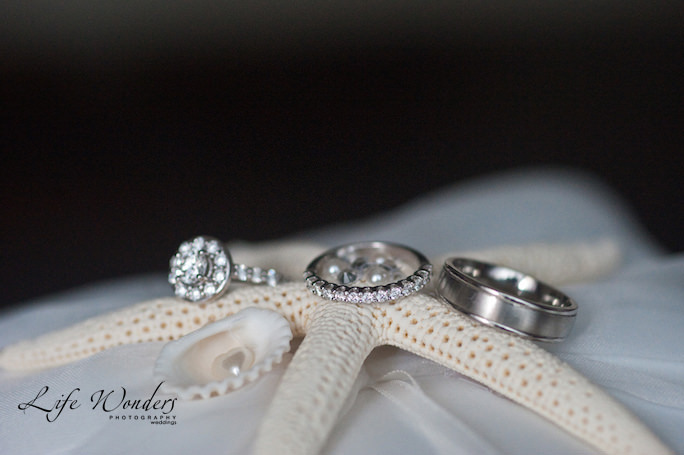 The sea star and the shell gives an original and beachy theme to this wedding rings photograph. When you are getting dressed before your ceremony, that is typically when some of your tender moments with your parents occur — and after I capture them, my brides are so happy I did. As you slip on your dress, your mother envelops you in a deep hug, the smell of her perfume eliciting so many childhood memories, and you spot your father wiping a tear away from his eye. 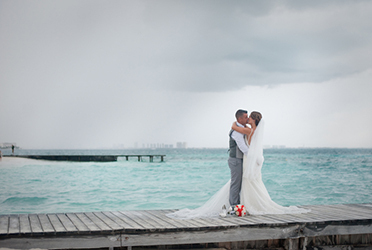 These moments are so fleeting — but they will last forever through photography. There isn’t enough words to explain Marilyn’s father expression when he saw his little girl ready for her wedding day. This photo shows one of the most tear-jerking heartfelt moments in Marilyn’s Getting Ready photo session. I am sure Marilyn loved this photo. Passing around cigars, toasting glasses of scotch, and just goofing off together — during the getting dressed session, I’m able to capture the fun of the groom with his closest circle. Some people may feel a little bit awkward in front of the camera, but this is a chance to photograph the groom and his closest friends in their natural, casual state. The result? Heartwarming pictures that represent the deep bond and sense of camaraderie. 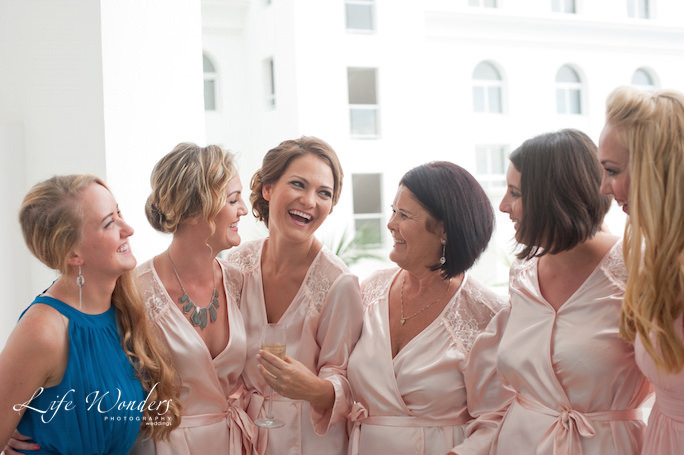 The getting ready photo session is a wonderful opportunity to capture all the emotions leading up to the walk down the aisle. 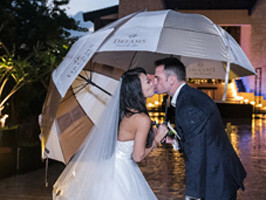 It’s a photographer’s chance to document all the little details of the wedding, all the intimate hugs and smiles shared between the couple and their closest family and friends. I know that these real, heartfelt photos will be cherished for years to come. Girls are not the only ones to have a Getting Ready photo session. The boys have one as well. Vlad was having a blast with his friends and it was really fun to capture spontaneous moments like this in his Getting Ready photos. 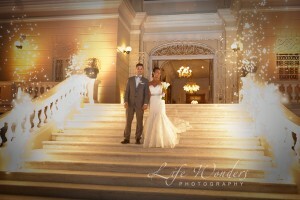 Having doubts about Getting Ready photos on your wedding? Wondering whether adding on the Getting Ready photo hour is right for you? 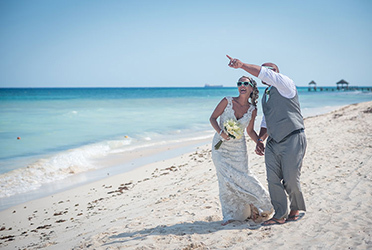 Get in touch with me and we will discuss your options, so you can have all of the photos that elicit the most powerful memories of your wedding day to look back on for years to come. Also, I have some really great tips about how to make your Getting Ready photography be amazing. 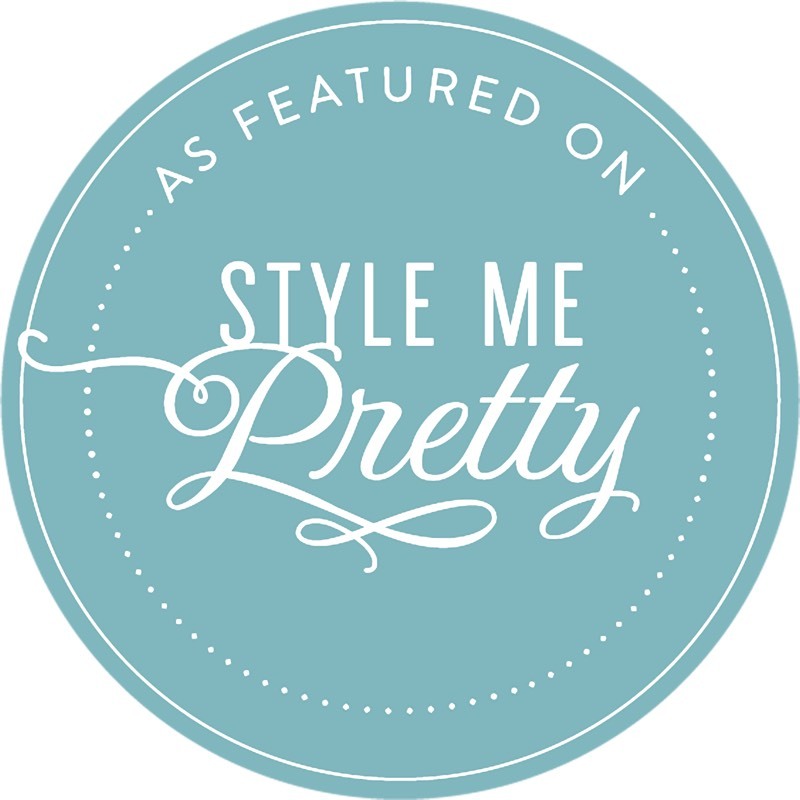 Sign up and start receiving my weekly email tips in your inbox!